Barbeque held during summer months for guests. 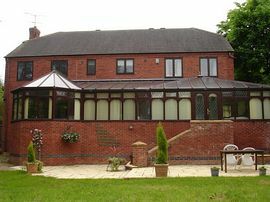 Large conservatory 16'x42' to relax and dine in. 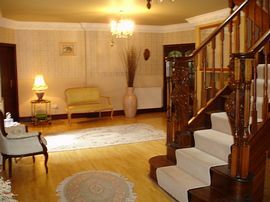 This modern contemporary B&B maintains a professional inclusive service at a competitive daily rate. 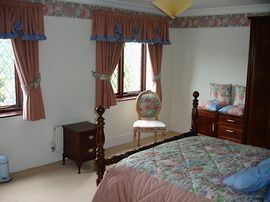 Rooms are all ensuite, plus one apartment, which is fully serviced. 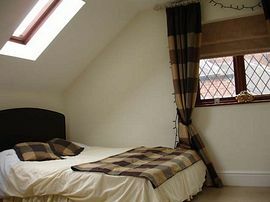 Fitted wardrobes, TVs, Tea and Coffee making facilities and fridge in all bedrooms. 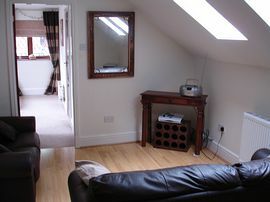 Private sitting room and access to the impressive rear garden area, for out door relaxation during the good weather. During the summer months and weather permitting there is a once a week barbeque held for guests. Special rates for exhibition visitors and exhibitors pre booking on regular basis. Breakfast: £6.00 extra per person.